He's got three European Cup winners medals, four League Championship medals and he was capped eight times by his country. On the downside, he had two spells at Everton. 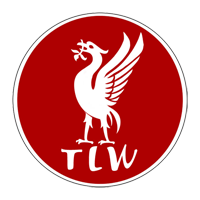 TLW's Dave Usher chats with Reds legend, David 'the Doc' Johnson. The football career of David Johnson is a fairly unique tale full of twists and turns and highs and lows. From becoming the first man to score the winning goal in the Merseyside derby for both Liverpool and Everton, to agonisingly missing out on the 1978 European Cup Final through injury, it seems there was never a dull moment with the man known to his team-mates as 'Doc'. Johnson stood on the Kop as a starry eyed youngster in the sixties, harbouring dreams that he might one day follow in the footsteps of his heroes Roger Hunt and Ian St John, so it's somewhat ironic that his first break in football should come when he was taken on as an apprentice at Everton! I knew before meeting Johnson that he had been a boyhood red, but I was curious as to where the rest of his family's allegiances lay. 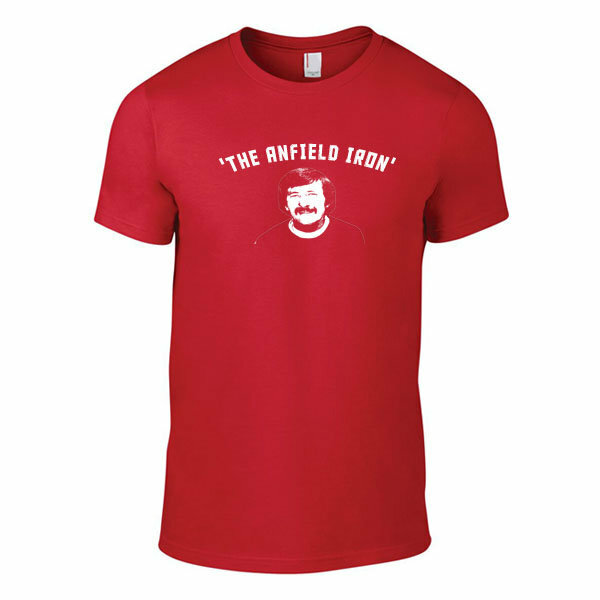 "All Liverpudlians," he laughs. "In fact, one of my brothers even named his first son Ian St John Johnson! 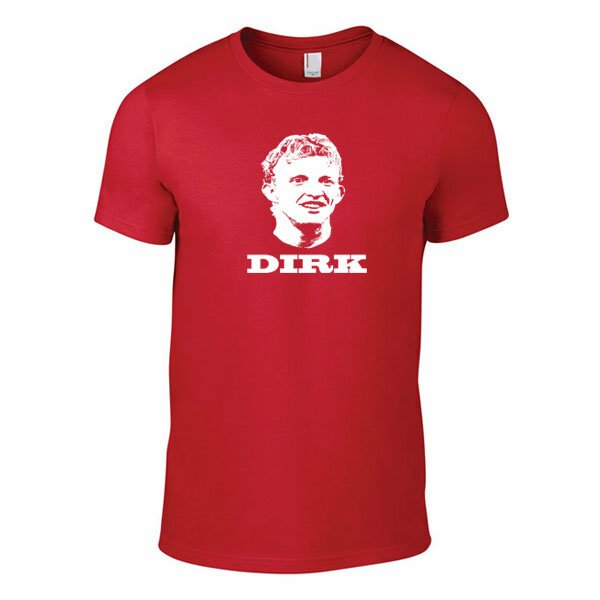 When I was a kid, the whole house was bedecked in red and white and my brothers used to take me to the Kop. I'd watch them home and away as well as playing football myself, so it came as a great shock to the whole of the family when I signed for Everton!" If the Johnson household was in shock then, Lord knows how they must have felt when he scored the winning goal against their beloved reds in his first derby game. He would put that right a few years later of course, but before that came a successful four year spell at Ipswich Town. Such was the quality of his performances with the East Anglian club, he forced his way into the England set-up, and it looked like he was set for a long career in Suffolk. So how did he end up at Anfield? "It came right out of the blue" he says. "Bobby Robson called me in and said that Liverpool had made an offer which they'd accepted, and that I should go and have talks with them. So I jumped on a train to Liverpool with no intention whatsoever of returning to Ipswich." It was the fulfilment of a dream, but if Bill Shankly had gotten his way in the sixties, then Johnson would have been a red a lot sooner. "Liverpool was the club I'd supported as a lad, but I thought my chance had gone," he explained. "Shanks was the manager when I had started at Everton in 66/67 as an apprentice, and he actually tried to buy me from Harry Catterick and Everton at that time. He'd made two enquiries to Catterick, but he wouldn't let me cross the park. Then I went to Ipswich and he made a couple more enquiries, and Bobby Robson told me that Liverpool were interested but that he wouldn't let me go. So although Shanks tried to buy me on four different occasions it was Bob Paisley who bought me in the end." Now I must confess to being somewhat fascinated with Bob Paisley, so this was an ideal opportunity to find out as much about the great man as I could. For example, what part did he play in the transfer talks? "You couldn't have talks with the boss" laughed Johnno. "All he said to me was "hello" and then he put me in a room with John Smith and Peter Robinson. They were the ones who actually signed me! The boss was a man of very few words, probably because no-one could understand what he was on about when he did speak, but what a great manager." It's clear that Johnson has the highest regard for his former boss, and he feels very strongly about the lack of recognition for Paisley's remarkable achievements. "No one has done as much in the game as Bob Paisley, and that includes Alex Ferguson, and yet he's been knighted and Bob hasn't. In my opinion, Bob should be honoured posthumously. It's long overdue. 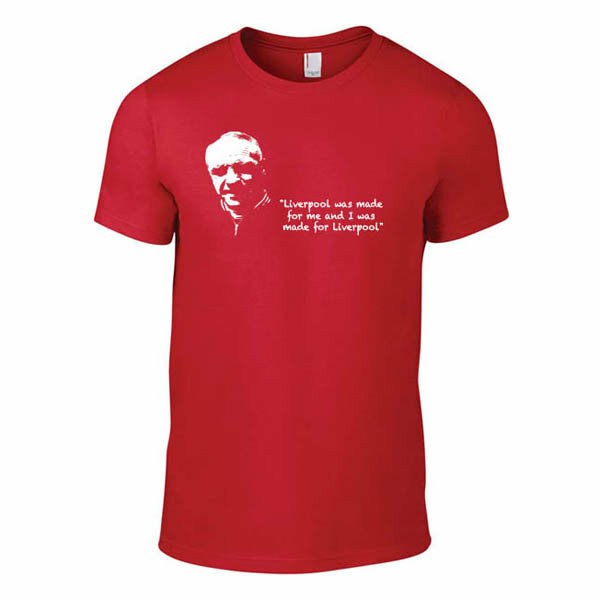 What he did for Liverpool football club after taking over from Shanks is unequalled." A sentiment all reds will no doubt agree with, but what was it that made Paisley so special? "His main ability as a manager, was not motivation, but rather the ability to spot players who suited Liverpool, and never make a mistake in the transfer market. He had the ability to say "Well you're a really good player and you're playing well for your team, but you don't suit us, but you're a good player and you do." What he did over a period of nine or ten years, was to be able to reconstruct teams but still continue winning. That's testament to his management ability, he was fantastic." So having finally achieved his lifelong dream of pulling on the famous red shirt, what reaction did Johnson get from Evertonians having switched sides? "Well I don't think they were too happy!" he grins. "I went to Ipswich in a part exchange deal, and then my career took off. The four years I spent at Ipswich were great for me. I played for England under 23's as well as the full England side". "I was a virtual ever present in the Ipswich team and they established me as a striker, so when I came back to Liverpool you can imagine the reception I got in my first derby game, which was at Goodison Park in front of about 68,000! It was a bit hostile to say the least, but it was pleasing in the end because we won 1-0 and I scored! You could say I got my own back!" Johnson arrived at Anfield with a big reputation and as an England centre forward, yet he was to spend most of that first campaign either on the wing or on the subs bench. 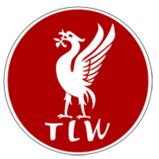 "When I came to Liverpool it was Keegan/Toshack, and although I'd played centre-forward for Ipswich and England, I suppose the boss saw me as an eventual replacement for big Toshy. But that first season I was playing out on the wing for a little while, and then Toshy was injured and I partnered Kevin up front. So it was a bit of an in and out season, but I still played plenty of games." It was quite a year in fact for Johnson and Liverpool. "That first season I ended up with a league championship medal, an FA Cup runners-up medal and of course I was on the bench for the European Cup Final." Ah yes, European Cup Finals. 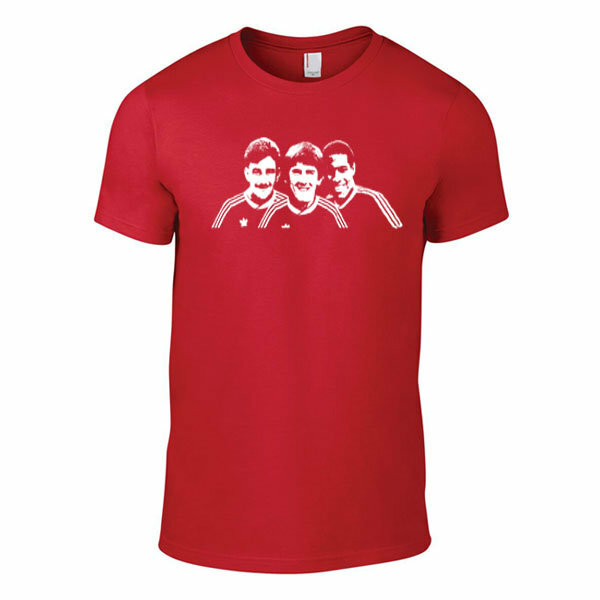 Johnson experienced a mixed bag in the reds three European Cup finals between '77 and '81. Left on the bench in '77, he missed the '78 final through injury but played in the '81 success and collected a winners medal, which sits proudly in a display cabinet right next to where we were sat in De Coubertins Sports Bar in Liverpool City Centre. The heady days of the late 70's were a great time to be associated with the Reds, and Johnson recalls: "The 1977 final was something else. We'd been beaten by Man United in the FA Cup final about five days earlier, and the thing that I always remember is that we were all wondering how many supporters had actually made the journey to Rome." "We'd had such fantastic support home and away during the league programme, as well as at Wembley, and we knew that following a team home and away wasn't cheap, so when we went away we were wondering how many supporters would be in the stadium cheering us on. We asked a press guy, and we were told about five or six thousand, so you can imagine the players' amazement when we walked out onto that pitch an hour before kick off and it was just jampacked and bedecked in red and white". "You've never seen so many flags, banners and scarfs, and there was no way we were going to get beat - we weren't going to let those supporters down. So to go out there and beat them 3-1, it was a tribute to those supporters, and that's why the lads did it. You could see it in their faces that they weren't going to lose." If the 77 final was a great high, then the following year's event would prove to be a real low point for Johnson. "In the 77/78 campaign I'd been playing in the side scoring goals, and I'd played in the semi final to help us get there, scoring in the away leg, so to do my knee ligaments in so badly that they had to be sewn back together.... well obviously there was no way that I could play, and I was absolutely devastated. Tommy Smith was exactly the same, Tommy was doing some gardening and stood on a rake, so he couldn't play either!" Nevertheless, despite missing the final itself, remarkably he still has a medal to show for his efforts in getting the team to the final. 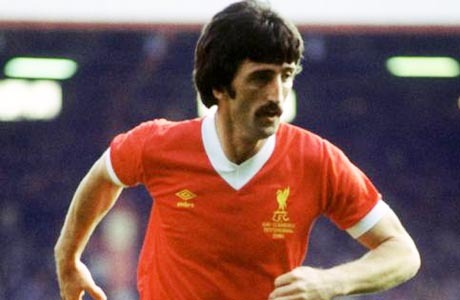 "It was Stevie Heighway that did that, which I'll always be grateful for," he says. "He got all the lads to sign a petition, and they sent it off requesting that another medal be made for me. I never heard anymore about it, until the next season when I got recalled to the England side. I went along, and someone came up to me and said, "Congratulations, welcome back to the England squad" and gave me a European Cup medal! It was brilliant! To actually get it, well not exactly posthumously, but after the event shall we say, it was still great, and now I've got three European Cup medals." Playing a big part in the most successful period in Liverpool's history has obviously left Johnson with many great memories, but what was his most memorable performance for the Reds? "When you think of the amount of success that we had between 76-82, it's very difficult to pick out one memory. I suppose off the top of my head, the thing that stands is out is that we had the disappointment of those four games in the FA Cup against Arsenal, when we finally got beat on the Thursday after Brian Talbot scored and we lost 1-0. Two days later we played Villa at Anfield to win the league, and I scored two. The fourth goal was at the Kop end with my left foot, and it hit both posts. That to me was brilliant, because it helped erase the disappointment of losing in the semi-final." So was that the best goal of his career? "There was that one and there was one for England against Argentina, who were World Champions at the time and had Maradona playing for them. We beat them 3-1 and I scored two in that game, and one was a diving header. I was playing against what was probably the best centre half in the world at the time in Daniel Passarella, so to score two past him was something special. And I'm still the last England player to score the winning goal against Argentina!" Johnson's second season at Anfield was similar in many ways to his first. Toshack and Keegan had gone, but David Fairclough was often chosen to partner the newly signed Kenny Dalglish. Johnson won his place back midway through the season, only for that knee injury to cut short his campaign. 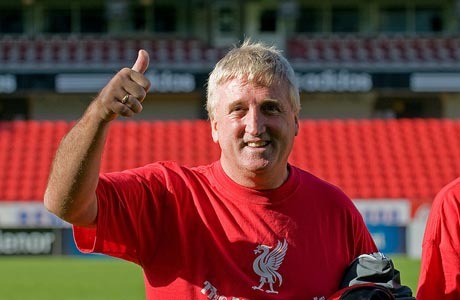 He would bounce back though and form an outstanding partnership with King Kenny, of whom he has the highest praise. "Kenny was the greatest player I've ever played with," he says, "and probably the best player I've ever played against as well, he was that good. When you consider that I've also played against the likes of George Best and Diego Maradona, then that's the highest praise I can give Kenny. What people don't realise, is that he wasn't just a great player, he was also unselfish, and his bravery - something which no-one ever mentions - was something else". "In our playing days, defenders could tackle from behind, and as Kenny's game was holding the ball up and linking the play, the amount of stick he used to get from defenders sliding in and tackling him from behind was unbelievable. I've seen him in the dressing room afterwards and the backs of his legs were cut to ribbons, but it just shows you how tough he was because he hardly ever missed a game. So he was a great, great player, but brave as well." As well as enjoying unparalleled success on the field, the great team of the late 70s/early 80s were also renowned for enjoying life off it as well. The players from that era still meet up regularly, and Johnson tells me that the night before this interview some of them had a little get together for Christmas. The team spirit undoubtedly played a big part in the success, so who did he room with on away trips? "Well my last room-mate was Bruce Grobbelaar" he laughs. "Bruce was a total lunatic, but he was a pleasure to room with, there was never a dull moment. He was just a complete barmpot! I also roomed with Kevin Keegan when I first joined the club. He's a great lad Kevin, fantastic person, great player and in my opinion he was a great manager as well. He always wore his heart on his sleeve and I was sorry to see him go to Hamburg, but obviously his career moved on, and then I roomed with Stevie Heighway. We were room-mates for a long time until Bruce came into the set up." But what about that nickname, how did that come about? "That was thanks to Terry Mac. In those days a dressing room was a dressing room, there wasn't all the mod cons that are there now, so you took your own bag in there with all your own shaving gear, shampoo, hair brush and stuff like that. Well I always used to suffer from a sore throat, so there was usually strepsils or tunes or some sort of potion in my bag, and everyone used to go to my bag to use my gear - no-one ever brought their own, they just used to use mine - and Terry Mac went in there one time and took out all these pills and stuff, and said "it's like a flipping doctors bag' or words to that effect" he laughs - no doubt at the mere suggestion of Terry Mac using the word 'flipping'. "After that it just stuck. Even Joe Fagan and Ronnie Moran took the mickey, and if we were travelling away anywhere they'd always give me all the headache tablets and things and if anyone had anything wrong with them they'd always come to me." Presumably he didn't mind though? "Oh no," he says. "Nicknames are great when you're a player, it's all part of the banter and you've got to have that. "Alan Hansen was obviously Big Al, or Jocky, and Graeme Souness was 'Champagne Charlie' or 'Choccy' because someone from the Scotland World Cup squad reckoned if he was a bar of chocolate he'd eat himself. Phil Thompson was 'Tonka Toy' the unbreakable, Alan Kennedy was 'Barney' although he answered to about ten other names as well. Terry Mac was Cheswick from One Flew Over the Cuckoo's nest because like Brucie he was a bit crazy as well." Another player with a reputation for being a bit of a nutcase of course was Steve Nicol, but Johnson says every successful side needs it's lunatics. "Stevie's a good lad, an absolute classic. But you've got to have those people in the dressing room for the banter, because the amount of pressure that you're under when you're pushing for top honours and titles, unless you've got that release that comes from humour, the tension can get to you. You've got to have that blend, the hardmen, the characters, the idiots! We had a fantastic dressing room banter, and that's really important." Johnson's career was to take yet another unexpected twist though, when the arrival of a young lad by the name of Ian Rush restricted his first team opportunities and forced him to seek pastures new. Although a return across the Park to his first club can hardly be described as 'new.' A brief stint at Manchester City then followed, before he received a tempting offer to play in America. "I played for Tulsa Roughnecks, but then the league folded while I was over there" he says. "So I came back and joined Preston North End. I did really well for them, I got them relegated and the manager got the sack," he joked. He speaks very fondly of time in the States, and he certainly has no regrets. "It wasn't during the heyday when Pele and 'Besty' were all playing, it was right at the end and there was only about nine teams in the league when I went over there. It was a great experience though, and something that you look back on and say "Well thank goodness I did it" as I got to see the States whilst playing football. We flew all over the place and it was a great way of life. I enjoyed my time over there, and so did my wife and kids." Johnson still plays five-a-side with some of his old team-mates, and he's also part of a charity football team. "There's me, Emlyn Hughes, Alan Kennedy - Terry Mac used to play too until he got back involved with football again - there's Frank Worthington, and a lot of showbizz lads as well, such as Phil Olivier who plays 'Tinhead' in Brookside and Steve McFadden, who's Phil Mitchell from Eastenders." I ask if he still plays up front, "No, no, I've been sent further back these days, no pace you see!"